A makeover was always on the cards for this sea faring veteran, but an electrical fire in May 2007 gutted the ship throwing the renovation project into despair. 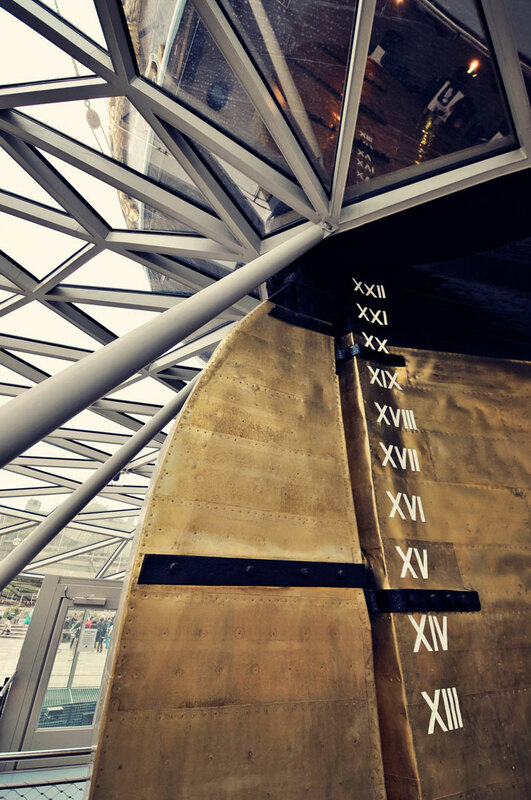 Five years and 50m pounds later, she has been restored to her former glory to be re-opened by her Majesty the Queen. 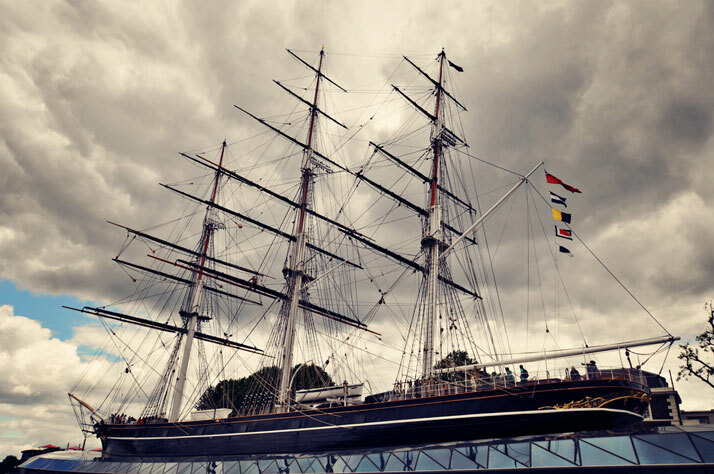 Opened in time for the London Olympics 2012, the ship sits alongside the new Olympic equestrian centre and Martine museum. 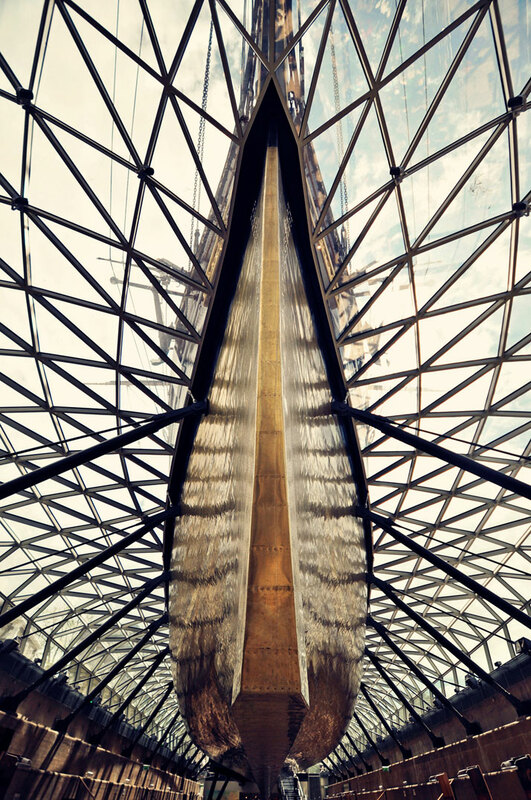 Built in 1869 for the Jock Willis shipping line, the Cutty Sark was designed to carry tea from China with a loading capacity of around 200 millions cups of tea. 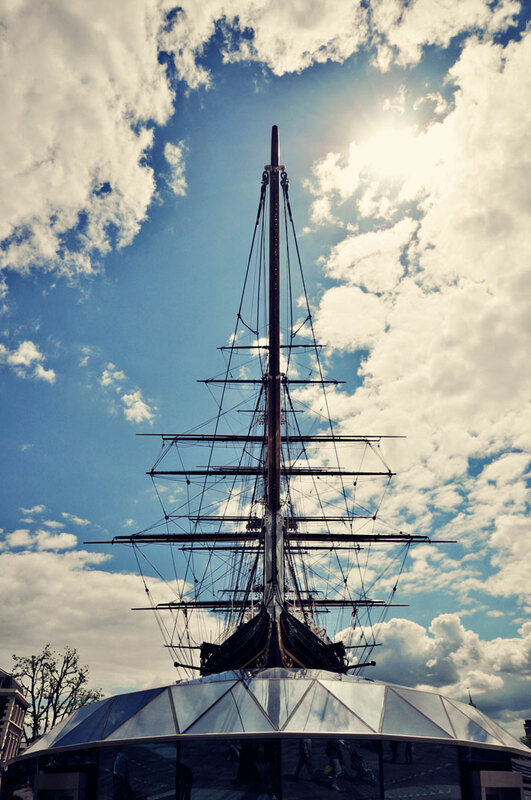 In 1954, the ship was officially put out of service and displayed in dry dock at Greenwich and has stayed there ever since. 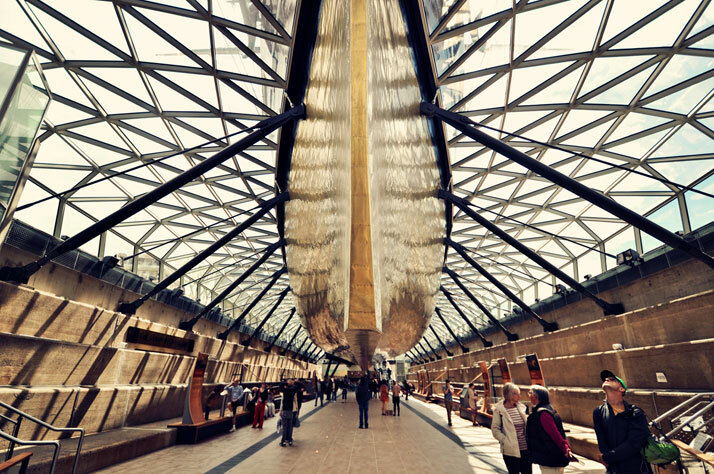 Grimshaw Architects were approached by Cutty Sark Enterprises to bring this maritime land mark into the 21st century and increase awareness of the famous cargo vessel. 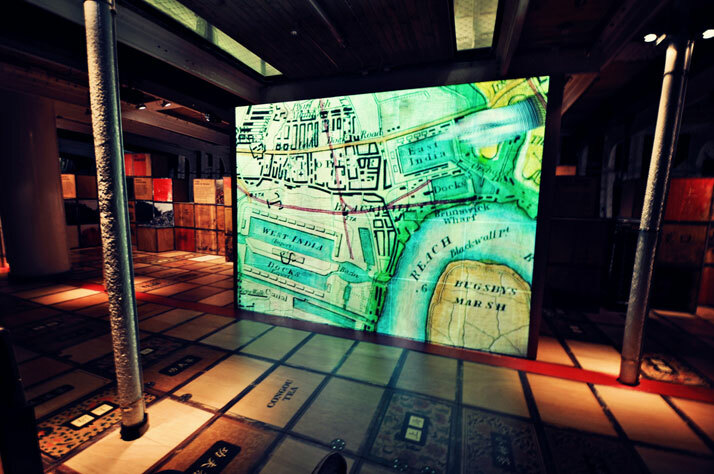 The renovation of the ship’s interior has cleverly married the new interactive exhibition with the traditional craft techniques allowing visitors to casually explore its history. 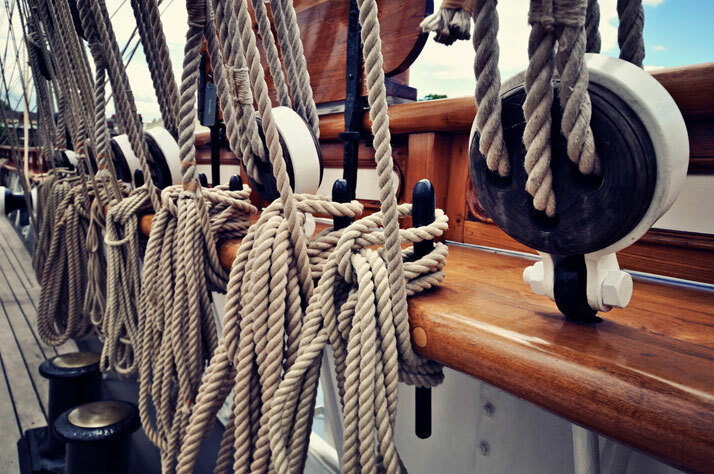 Elm decks have been restored to their original red stain while metal work and bulging pop rivets have been painted in contrasting white and grey. 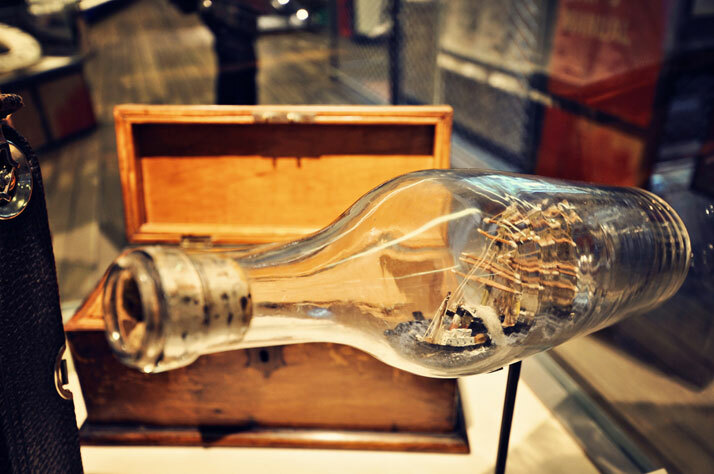 Lower deck floors are lined with replica tea boxes that once packed the cargo hold and decks of the vessel whilst carefully selected artefacts and relics from the ships illustrious history adorn the upper deck in simple glass cabinets. 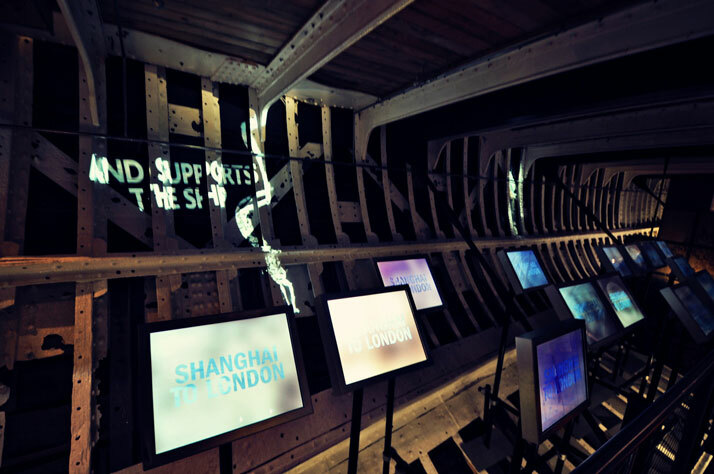 The traditional display of manuscripts and log books have been replaced with interactive video projected onto the ship’s hull depicting the vessel’s life as a clipper shipping tea from the likes of China and wool from Australia. 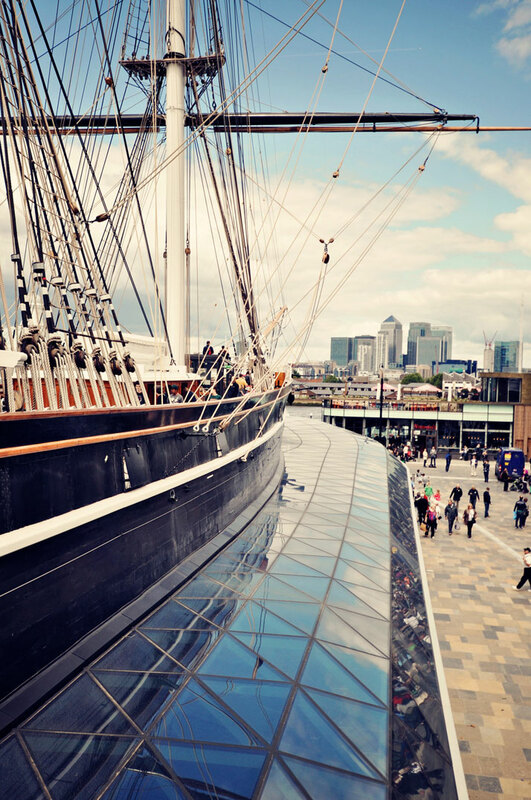 Narrow metal staircases connect each deck and eventually lead visitors to the main deck where the dramatic three mast design can be fully appreciated alongside panoramic views across the Thames, the City and beyond. 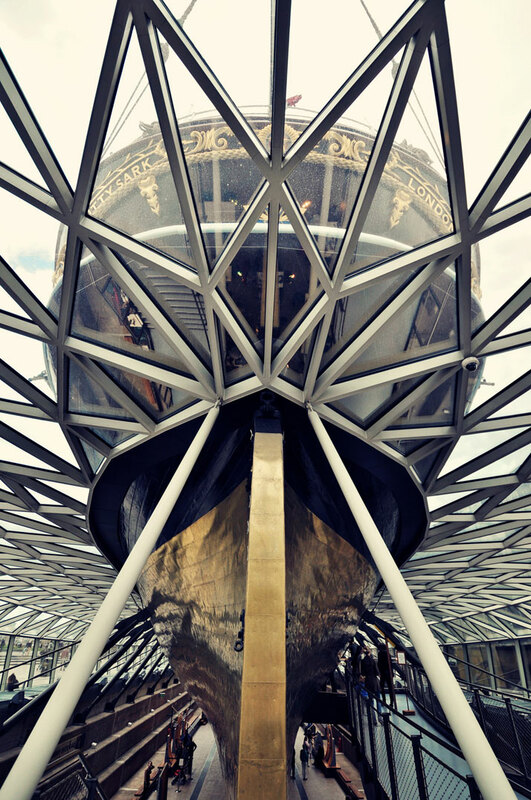 In essence, the hero of the design sees the 19th century tea clipper raised three meters above its dry dock, raising the ship above entrance level and allowing visitors to walk beneath the beautifully brass clad underbelly. Cocooned within a glass and steel lattice, the vessel sits suspended by twenty steel structural columns. 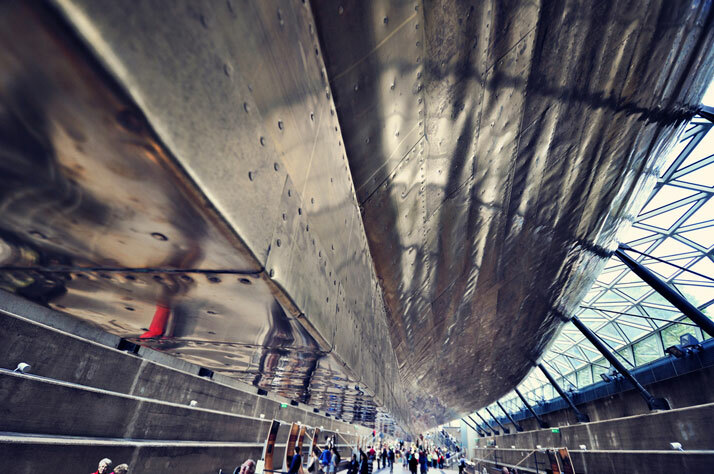 When standing in the atrium, the conceptual vision comes to life where you feel as if you are submerged underwater looking up into the ship’s stream lined hull. 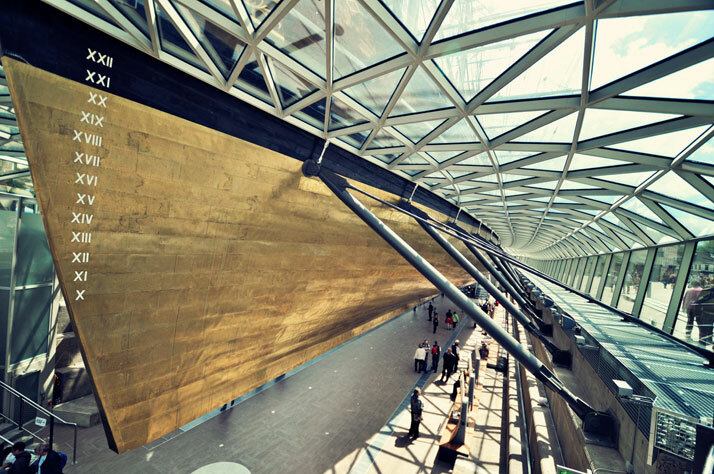 The light drenched atrium acts as a perfect gallery and entertaining space where a number of sculptures and local art works feature along the stepped atrium walls. 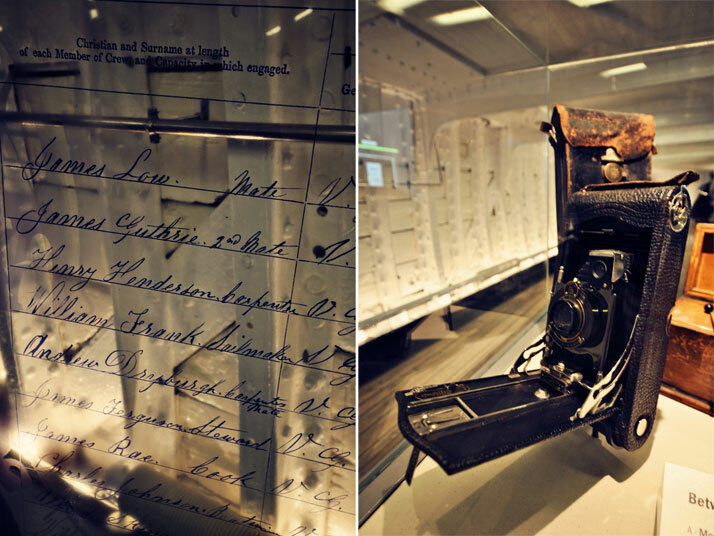 Visitors are also able to view the largest collection of historical figure heads curated by a merchant shipping memorabilia collector. 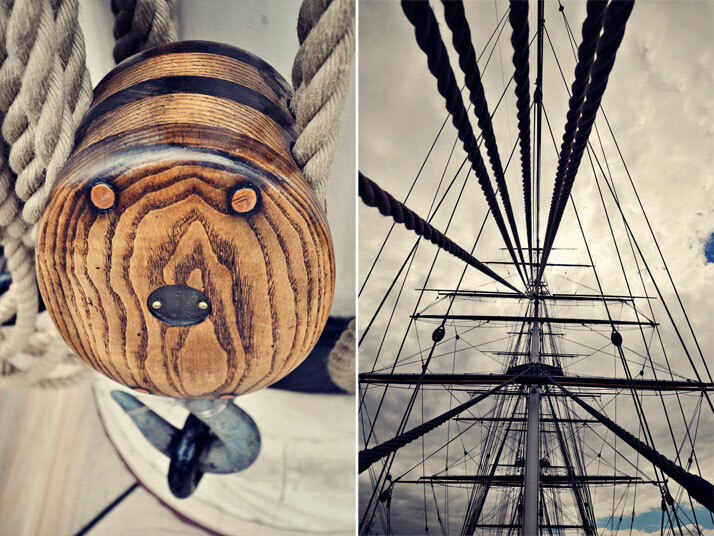 Overall, this project is a combination of modern exhibition techniques and restored 19th century craftsmanship which have cleverly created a memorable experience and definitely put the wind back into this British lady's sails.